New Year, New Video Production Gear! I’ll never forget my favorite moment of 2014. I clicked on the link–then spit coffee all over my desk when I saw the price tag. Nonetheless, I watched the video and couldn’t believe my eyes. I immediately realized that this product was going to forever change how we capture video and film! One, single product was about to change it all: the gimbal. Here’s our very own DJI Ronin 3-Axis Gimbal! This is the most recent addition to our set of video production equipment. There’s a problem with video stabilization. Whether you’re a film production professional, student or enthusiast, chances are you know firsthand that capturing stabilized video can be very tricky, especially when using DSLRs. Doing so requires a variety of expensive and cumbersome equipment such as tripods, monopods, steadicams and slider dolly systems. Carrying multiple rigs will slow you down on those unscripted, run & gun shoots where you have a single opportunity at capturing the content you need. The new DJI Ronin 3-axis gimbal is the solution to capturing any golden nugget of footage. The Ronin is an affordable, lightweight camera rig that can be setup in 5 minutes. It even allows you to capture perfectly smooth video in almost any scenario. It doesn’t matter if you’re walking, running, ascending/descending stairs, sitting in the back of a pickup truck or filming long/continuous takes; the Ronin will work perfectly in any situation. Until now, these types of rigs have been reserved for the elite few who can afford the hefty price tag of $15k – $20k. At just under $3k, the Ronin is affordable for most professionals and enthusiasts with some extra cash to spare. 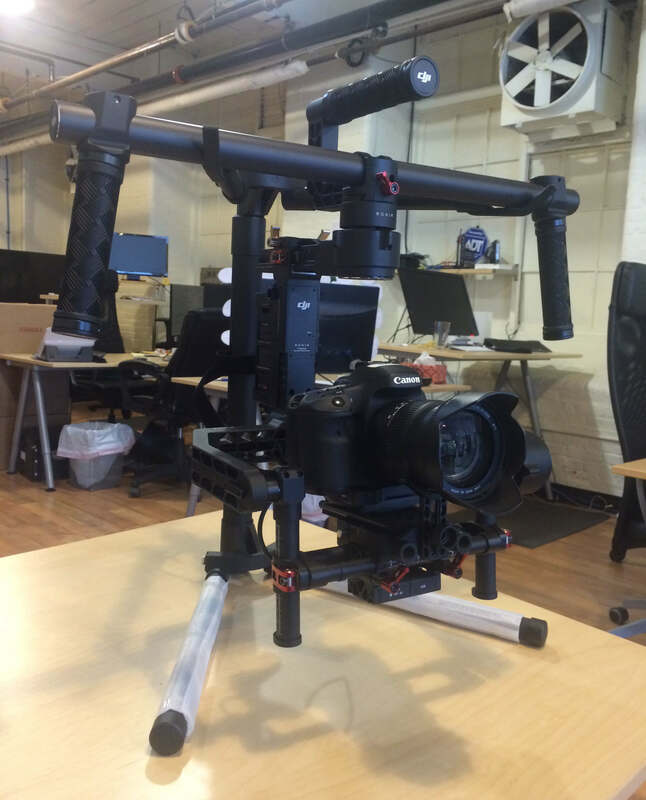 With a rig like the DJI Ronin in our arsenal, we’re no longer bound to the traditional methods of video production. More importantly, our clients are equally as excited as we are to expand their video horizons. After all, creating the most engaging form of content just got a lot easier with this gimbal stabilizer. If you have any questions about how this style of filming could benefit your next video production, please don’t hesitate to give me a shout at tim@figmints.com! When we first started working with Community Teamwork, we saw a lot of opportunities for their brand. A snapshot into a unique internship experience at Figmints Digital Creative, full of inspirational people, mind-blowing ideas, and good food.